As a moderate wide-angle prime, the new APO-Summicron-SL 35 f/2 ASPH. is a universal lens. Its fast autofocus, robust construction and exceptional imaging quality make it a go-to lens for all areas of photography. It also couples beautifully to the Leica SL-System and has been conceived for a long working life under professional shooting conditions. UK photographer Matt Stuart got his hands on the APO-Summicron-SL 35 f/2 ASPH at the Leica Store in Mayfair, London, and took it for a test shoot on the streets of the British capital. 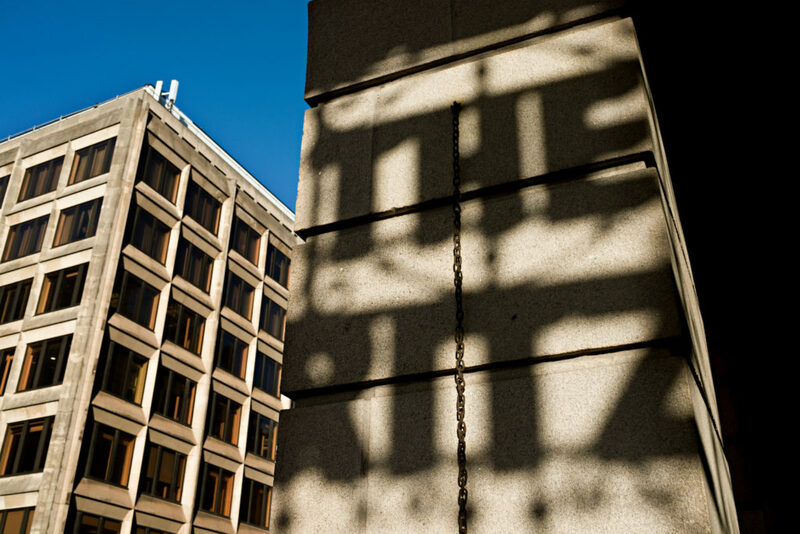 Inspired by his first impressions of the lens, Matt shot the following series on a sunny Winter’s afternoon at The Ritz. We spoke with the award-winning street photographer about the shoot and his love for 35mm lenses. Can you tell us a little about your route into photography? I was working in a call centre, a real dead-end job, when my father randomly gave me a couple of books that he had picked up in a museum bookshop. One was by Robert Frank and one by Henri Cartier-Bresson. From that point on, I never looked back. Winogrand, Tony Ray-Jones, Leonard Freed, Lee Friedlander and my friends Joel Meyerowitz, Alex Webb, Richard Kalvar and Trent Parke. When did you first start shooting with Leica and how has your relationship to the cameras and the brand developed? After a weekend workshop with Leonard Freed in 1998 and watching him work, I realized how useful a tool the Leica was for getting close to people, discreetly. It appeared to be a very polite camera, unlike my cumbersome Nikon at the time. Sadly my Grandma died around this time and left me a small amount of money, enough to either buy a Leica or pay off my credit card debt. I followed my heart, not my head and got the Leica. It was the best decision I ever made. Since then I have had relationships with a variety of cameras in the Leica range; from the Q through to the M to the SL. I’m proud to say I also have a room in the Leica Hotel! Leica has been very good to me. You shot this series in London’s Piccadilly. How did the shoot come about? 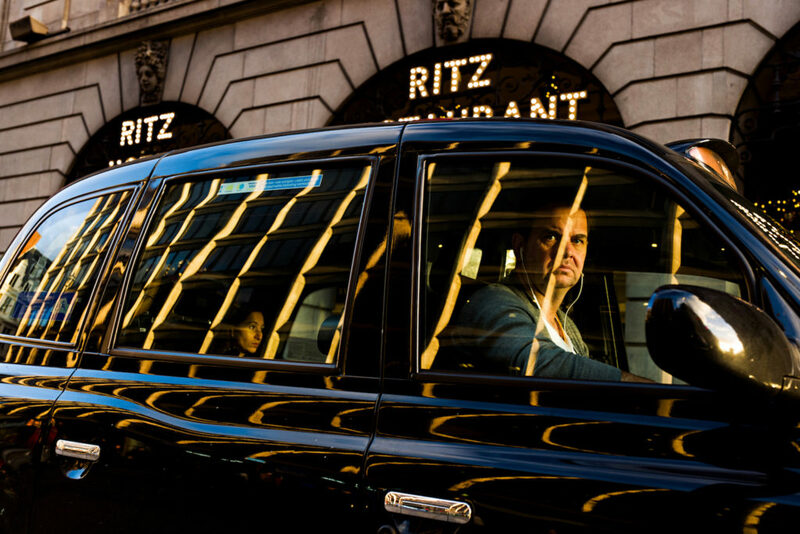 I was in the Leica Mayfair store and the manager, Jason, asked me if I would like to test a new lens for a few days, so I decided to take it up the road to The Ritz, which was basking in late winter light at the time. What was the concept behind this series? My plan was to wait in one place and photograph everyone as they emerged into the light. They all seemed like rabbits in the headlights to me and it seemed symbolic of the current Brexit situation in the UK. To what extent do you think the whole Brexit saga has influenced the general atmosphere on the streets of London? There are far more homeless people on the streets. Politicians aren’t concentrating on anything but Brexit. Everything else seems to have been overlooked. It’s a shameful situation. I’ve heard you mention that the 35mm is your favorite focal length. What is it about the 35mm that you like so much? It’s wide enough but not too wide. It doesn’t distort too much and I can use hyper-focal focus with it on a bright day. I’m also very familiar with it and it is very comfortably suits my point of view. What struck you about the results you achieved, shooting with this new 35mm SL lens? It was interesting to have a lens that auto-focused so quickly and responsively. Using such a quick lens with face detection focus was new to me. Nevertheless, I generally always got the subject in focus, whether I was looking through the viewfinder or not. If you had to pick one, which of these images are you most happy with? And why? I like the grumpy taxi driver looking at me with the lady lit in the back. The light works and his expression is great. Funnily enough, the following frame, when he realized he had been photographed, he smiled at me and gave me a thumbs up. How would you describe the experience of shooting with this lens and the Leica SL? The lens didn’t feel too big and the camera didn’t feel too heavy. It was well-balanced, responsive and the images were extremely sharp. When shooting digital on the street you often use a Leica M10-P and a 35mm f1.4 Leica Summilux lens. How does the combination of the SL and a 35mm lens compare? They are very different cameras. The SL shoots up to 11 frames per second, while the M is slower and more contemplative. They are both extremely good in their own way. In an ideal world I would use both on the street. What can we look forward to seeing from you in the near future? Photos from the UK, photos from Europe and a road trip with my dad. What one piece of advice would you offer to anyone looking to improve their street photography? Be hopeful, open and positive, then the shots will come to you. You can find out more about the technical specifications of the APO-Summicron-SL 35 mm f/2 ASPH. via this link. Check out more of Matt’s excellent photography on his website and Instagram. Lovely images, especially the Taxi one and the woman with the white glasses on the street. I am definitely looking forward to getting my hands on the 35 and the 75 to pair with my SL. Great job! !